One of the most versatile actors of Bollywood Kangana Ranaut is all set to release her next film Manikarnika: The Queen of Jhansi on January 25. Kangana has starred in many films for which she has been immensely appreciated but her role in the Tanu Weds Manu franchise was loved by many. Both part one and two of the film did great at the Box Office and now the actor revealed that the makers will be announcing about the third part soon. Kangana is currently busy with the promotions of her film Manikarni. 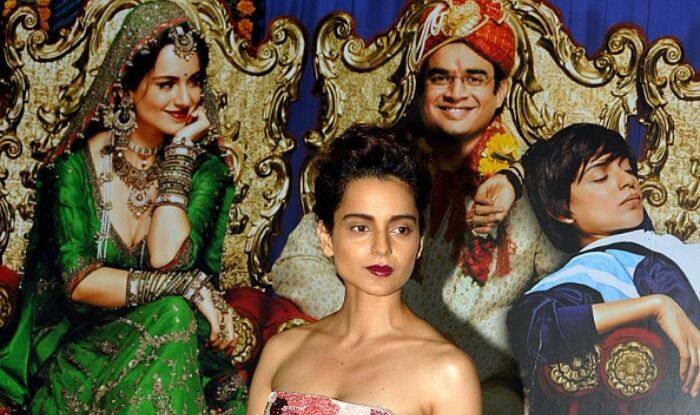 In a recent interview with Mumbai Mirror, Kangana opened up about the third instalment of her film Tanu Weds Manu. She said, “I have been too busy with Manikarnika to attend any of the trials of Zero but Ananadji is coming for a show of our film. We would be announcing Tanu Weds Manu 3 soon”. Kangana is all geared up for the release of Manikarnika. The film is jointly directed by her and Krish. Talking about directing the film, she had earlier Indian Express, “I always meant to direct a film. I think it’s been 4-5 years since I’ve been meaning to direct, so when this opportunity came about I had to take it.” The film is slated for release on January 25 while facing a Box Office clash with actor Nawazuddin Siddiqui starrer Thackeray. Tanu Weds Manu (2011) and Tanu Weds Manu Returns (2015) were applauded not just by the audience but was also loved by the critics. The previous two instalments starred Kangana and Madhavan in pivotal roles. Their chemistry in the films was incredible and fans cannot wait to see the two share screen space once again in the third instalment. Her next release Manikarnika also stars Ankita Lokhande and Danny Denzongpa in pivotal roles.